What’s the point of school? It’s a question most pupils will have asked themselves at one time or another. And it’s one that parents, teachers and government ministers ponder too, though not always for the same reasons. The answer might seem straightforward: to provide children with an education in the traditional sense of imparting knowledge and understanding to students, so that they can pass exams and enter the workplace or further education with the intellectual tools to get them ahead in life. Guy Claxton, Professor of Learning Sciences at Winchester College, UK, has written a rather different book-length answer to what the point of schools should be (Claxton, 2008). ‘There’s an increasing recognition that there is a broader range of mental and emotional skills that are useful to cultivate, whether you’re going to read medicine at Cambridge or do an NVQ in hairdressing,’ says Claxton. A major development in this direction was the introduction of Social and Emotional Aspects of Learning (SEAL) to schools under the previous Labour government. The goals of SEAL are to encourage self-awareness, ‘emotional intelligence’, and motivation, and to nurture social skills and empathy. SEAL is not a neatly defined syllabus nor a mandatory content-specific course – schools pursue SEAL in highly varied ways. Nonetheless, published SEAL guidance documents do provide a framework for achieving these expanded goals. ‘When SEAL is implemented as written, it has a big impact on outcomes,’ says Katherine Weare, Professor of Education at the University of Southampton. Today, SEAL is pursued in 90 per cent of primary schools, and 70 per cent of secondary schools, and they like it, says Weare. Yet educationalists may have overlooked a powerful and cheap tool that can help deliver on SEAL objectives – ‘mindfulness’ training. Mindfulness is a ‘mode of being’ that is rooted in paying attention, non-judgementally, to the present moment, to our current conscious experience of the world. It’s a mode of being that can be taught, typically as a series of simple meditation-style exercises. Mindfulness exercises increase awareness of the contents of our minds, and provide ways to respond to our thoughts and feelings ‘skilfully’, such that they are less likely to lead to emotional distress or harmful behaviours. ‘Mindfulness could really help teachers get to the heart of the skills SEAL tries to nurture, and achieve what they want to,’ says Weare. Mindfulness is not an abstract or remote body of knowledge, like physics or history. It’s more of a practical skill, like being able to ride a bike or play the piano. To get a handle on what this means, you have to look at how mindfulness is actually practised. A commonly used way to get into a mindful state is to simply sit on a chair, close your eyes, and begin to focus on your breath. As you sit still – relaxed, but alert – you direct your attention to the sensation of each inhalation and exhalation: perhaps the gentle rise and fall of your chest, or the feeling of air as it enters and leaves your nostrils. While doing this, other thoughts will enter your mind unbidden: ‘I must pay that gas bill later’, ‘Did I come off as stupid in the meeting earlier?’ or even ‘I keep losing track of my breath and thinking about other things – I’m rubbish at this!’. These intrusions of thought don’t mean that you’re failing to be mindful; what matters is how you respond to these thoughts. The idea in a mindfulness session is to merely note these thoughts, without judgement, and to let them pass. You then return to focusing on the breath – and then, as further thoughts enter your mind of their own accord, you simply note them, and move on. At first, achieving mindfulness can seem difficult, even pointless – much like practising scales on a piano. But perseverance pays off. Over the past 20 years, dozens of studies have demonstrated that mindfulness provides benefits in a range of clinical settings, from pain management and stress to depression, as well as in non-clinical groups (Baer, 2003; Greeson, 2009). The vast majority of studies on mindfulness, as both a therapeutic intervention and as a tool to aid everyday well-being, have been done with adults, but in recent years researchers have begun to explore how it might be applied to teenagers and even to very young, pre-school children. The results to date in this emerging field suggest that mindfulness training is both feasible and beneficial for children across a wide range of ages and contexts (Burke, 2010). - the capacity to regulate attention. Mindful practices nurture the capacity to bring our current sensory experience to the forefront of consciousness. In doing so, they create the mental space to ‘stop and smell the roses’, to be charmed by a child’s smile or moved by a dramatic sunset. ‘In Western societies, most of us, most of the time, are on autopilot, and what’s going on in our heads is mostly about the past and the future,’ says Huppert. ‘We spend so little time in the moment.’ Being in the moment, and appreciating positive sensory experiences, is not only intrinsically enjoyable, but also elicits positive emotions that feed into overall well-being. Psychologist Barbara Fredrickson of the University of North Carolina, Chapel Hill, has demonstrated that recurrently experiencing positive emotions simultaneously broadens our sensory awareness – creating further opportunities for sensory savouring – and also builds psychological and emotional resilience (Fredrickson, 2009). Many of our intrusive thoughts come with an emotional flavour. Often these are negative – we suddenly remember a recent argument, which makes us angry, or the time we embarrassed ourselves in front of the boss. It’s all too easy to get caught up by these intrusive emotional thoughts, and to ruminate on them at length. Again, mindfulness encourages a more decentred perspective on these feelings: they should be noted, and let pass. ‘Simply recognising your feelings gives you a choice in how you’re going to respond, rather than reacting automatically in ways that lead to trouble,’ says Huppert. This perspective stresses that the benefits of mindfulness training for children and adolescents are not education-specific, nor limited to the classroom. Yet they do have a remarkable degree of overlap with the SEAL objectives of self-awareness, emotional intelligence, motivation and social skills. ‘For all of the SEAL outcomes, there are good reasons to think that mindfulness helps,’ says Weare. Mindfulness inherently increases self-awareness, and nurtures the capacity to regulate automatic emotional reactions to life’s slings and arrows. This is not just beneficial for the mindful individual, but also for those around them. ‘If you manage your impulses better, you can avoid wrangles with other people, and listen to them and see their point of view,’ says Weare. The evidence for the benefits of mindfulness and related practices in school settings has been a long time coming. About 15 years ago, a PhD student of Claxton’s, Caroline Mann, took meditation practices to classes of Year 8 students (12- and 13-year-olds). Pupils reported that meditation was useful in terms of maintaining psychological equanimity and coping with stress and incidents in the playground, and Mann also found that meditation improved performance on memory tests. Now there is increasing evidence that mindfulness really does make a difference when delivered in the classroom. Last year, private-practice psychotherapist Gina Biegel and psychologist Kirk Warren Brown of Virginia Commonwealth University released a ‘White Paper’ (not a peer-reviewed publication) reporting the results of a pilot, school-based mindfulness programme in young children (Biegel & Brown, 2010). This study explored whether mindfulness training could improve academic achievement, powers of attention, social skills, behavioural problems and engagement with academic studies among 2nd and 3rd grade pupils (= Years 3 and 4 in the UK). This pilot study enrolled 79 children at Berkley Maynard Academy, an elementary school in Oakland, California, for a five-week course in mindfulness. The programme comprised three 15-minute sessions a week, which both teachers and students attended. The 15 sessions involved a range of mindful activities, including listening, breathing, movement, walking and eating, as well as lessons on the promotion of kindness and caring. Students were assessed using a number of quantitative measures immediately before and after the mindfulness course, and then three months later to see what effects the course had. Biegel and Brown report that this programme was generally well tolerated without any adverse side-effects, and also improved attention and teacher-rated social skills among students. The attentional capacities of children were measured using the Attention Network Task-Child Version (ANT-C). A particularly important aspect of attention tapped by the ANT-C is the capacity for executive or cognitive control – the ability to override impulses and focus attention on salient sensory information, which enables goal-directed behaviour and creates cognitive flexibility. Cognitive control is crucial to decision making and is correlated with academic success (Visu-Petra et al., 2011). Overall, between the beginning and end of the five-week course, 64 per cent of children improved their scores on ANT-C cognitive control – an effect that persisted at three-month follow-up. At the beginning and end of the study teachers also completed the Social Skills Rating System (SSRS) to assess students’ social behaviours. Biegel and Brown report that their mindfulness programme improved teacher-rated social skills over the course of the intervention, which, like the effects on attention, remained evident three months later. Last year also saw the publication of the first peer-reviewed, controlled study on mindfulness in schools. This was carried out by Felicia Huppert and Daniel Johnson from the Cambridge Well-Being Institute, working with teachers Richard Burnett of Tonbridge School and Chris Cullen of Hampton School, both of whom are mindfulness practitioners (Huppert & Johnson, 2010). Drawing on the practical experience of Cullen and Burnett (who wrote a master’s thesis on mindfulness in schools), the team drew up a four-week syllabus for use in Tonbridge and Hampton (both independent, fee-paying boys’ schools) among 14- and 15-year-olds. The course consisted of four 40-minute classes, taken once a week, in which students were introduced to the principles and practice of mindfulness meditation. In addition, students were encouraged to practise mindfulness daily with the aid of short audio files that talked them through what they should do (these were recorded by Michael Chaskalson, an experienced Cambridge-based mindfulness trainer). In total, 173 students were enrolled in the study. Mindfulness was taught during religious education classes, with each student being in one of 11 classes at the two schools. Six classes took normal classes to provide a control group, while the other five undertook mindfulness training. At the beginning and the end of the study, students completed a series of online questionnaires to assess their psychological well-being, resilience and self-reported mindfulness. (These were measured using the Warwick-Edinburgh Mental Well-Being Scale, the Ego Resiliency Scale, and the Cognitive and Affective Mindfulness Scale-Revised, respectively.) Students also completed the Ten-Item Personality Inventory so that personality differences could be explored in the context of mindfulness training. At the beginning of the study, the students in these schools tended to fall in the middle or upper range of the well-being, resilience and mindfulness scales. These baseline measures in part depended on the personality styles of the students: those who scored highly on conscientiousness and emotional stability tended to show greater well-being, resilience and mindfulness. In addition, high extraversion was an additional predictor of greater resilience and well-being, and openness to experience was positively correlated with well-being. Overall, there was a significant increase in well-being among the students who received mindfulness training. But perhaps more importantly, these effects on well-being were dose-dependent. Not all students practised mindfulness equally – some practised at least three times a week, others did not practise at all – but the more practice they did, the more benefit they gained. Interestingly, students low in emotional stability (i.e. anxious or neurotic) derived particular benefit – and these are arguably the students most in need of an intervention promoting mental well-being. In this short trial mindfulness did not show any significant benefits on resilience. ‘It could be that you get an effect on well-being sooner than you get one on resilience,’ says Huppert. Alternatively, this result may turn on the resilience measure used. ‘It was the best we could find at the time, but it’s not the measure I’d use now,’ says Huppert. Since completing this pilot study, Huppert, Burnett and Cullen have worked with other colleagues to create an expanded eight-week course that is currently being trialled in a number of state schools around the UK, and in some other European countries. Although not yet part of a controlled study, the aim is get feedback on the course from teachers and students so that it can be refined and tweaked to optimise its use in the classroom, with the aim of running another randomised controlled trial in the 2012/2013 academic year. At the same time, Lavelle’s research assistant Sarah Hennelly is currently completing a master’s degree at Oxford Brookes University looking at mindfulness in schools. Results from this are expected later this year. Despite widespread recognition of the benefits of mindfulness training, there are a number of challenges in getting it into schools. 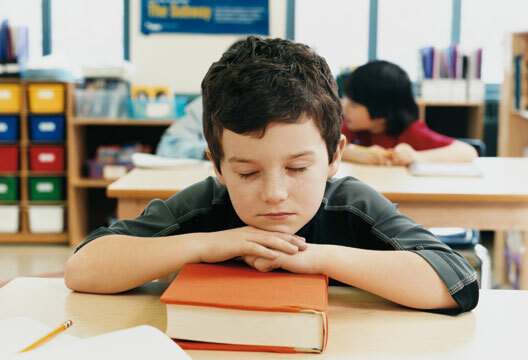 Some parents and teachers might worry that mindfulness training is part of a broader tendency to label kids with having problems that need fixing, as in the case of medical treatments of attention deficit hyperactivity disorder. Another major challenge of bringing mindfulness to schools is the dearth of teachers trained in the relevant practices. Just as teaching someone to play the piano or football requires some practical experience in these skills, so too for mindfulness. ‘You don’t have to be a Zen master, but you can’t train kids in the classroom if you don’t have your own mindfulness practice,’ says Burnett. Baer, R.A. (2003). Mindfulness training as a clinical intervention: A conceptual and empirical review. Clinical Psychology: Science and Practice 10(2), 125–143. Burke, C.A. (2010). Mindfulness-based approaches with children and adolescents: A preliminary review of current research in an emergent field. Journal of Child and Family Studies, 19, 133–144. Claxton, G. (2008). What’s the point of school? Rediscovering the heart of education. Oxford: OneWorld. Fredrickson, B. (2009). Positivity – Groundbreaking research to release your inner optimist and thrive. Oxford: OneWorld. Greeson, J.M. (2009). Mindfulness research update 2008. Complementary Health Practice Review, 14(1), 10–18. Huppert, F.A. & Johnson, D.M. (2010). A controlled trial of mindfulness training in schools: The importance of practice for an impact on well-being. Journal of Positive Psychology, 5(4), 264–274. Jennings, P.A. & Greenberg, M.T. (2009). The prosocial classroom: Teacher social and emotional competence in relation to student and classroom outcomes. Review of Educational Research 79, 491–525. Visu-Petra, L., Cheie, L., Benga, O. & Miclea, M. (2011). Cognitive control goes to school. Procedia – Social and Behavioral Sciences 11, 240–244.